60MM COLLECTOR BORE! T304 STAINLESS STEEL! 58mm - 60mm BORE WITH 2 FLEXI JOINTS!!! 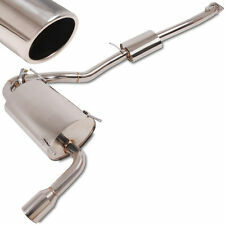 2.75" Bore Throughout With Huge 4.5" Tailpipe! 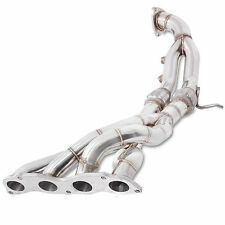 3" V-BAND DOWNPIPE 2" SCREAMER PIPE AND 4" INLET PIPE! STAINLESS STEEL 3" - 2.5" BORE!!! T304 Stainless Steel With Cast Ends For Maximum Power! PROVEN ON TRACK BY OUR CHAMPIONSHIP WINNING DRIFT CARS! 3" Bore Throughout With 4 x 4" Tailpipes!